Rodent, any of more than 2,050 living species of mammals characterized by upper and lower pairs of ever-growing rootless incisor teeth. The impact of these species upon human populations ranges from inconvenient to deadly. Crops are damaged before harvest; stored food is contaminated by rodent waste; water-impounding structures leak from burrowing; and objects are damaged by gnawing. Certain species are reservoirs for diseases such as plague, scrub typhus, rat-bite fever. It is estimated that the Mumbai rat population is at least three per person. 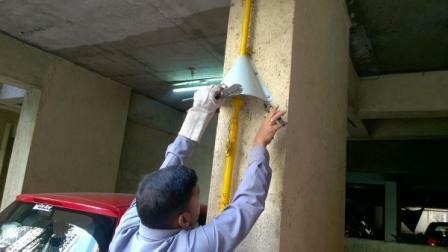 Rajashree pest control provides an integrated solution for Rodent Control in Mumbai. The best method for rodent control is exclusion method. Restrict the entry points of rats by simple modifications in the structure. 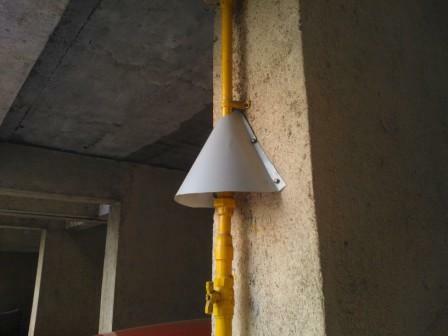 Rat guard is the best solution from preventing rats to climb up to your house. 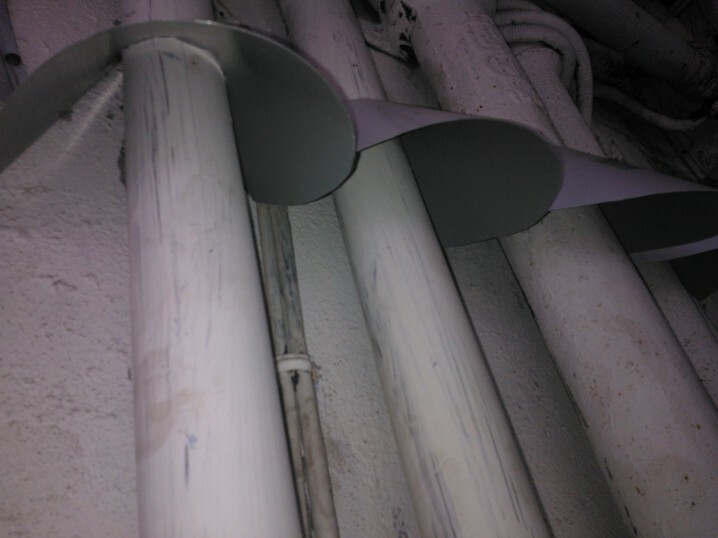 These Rat guards are fixed on sewer, drainage, cctv cables and gas pipe lines. 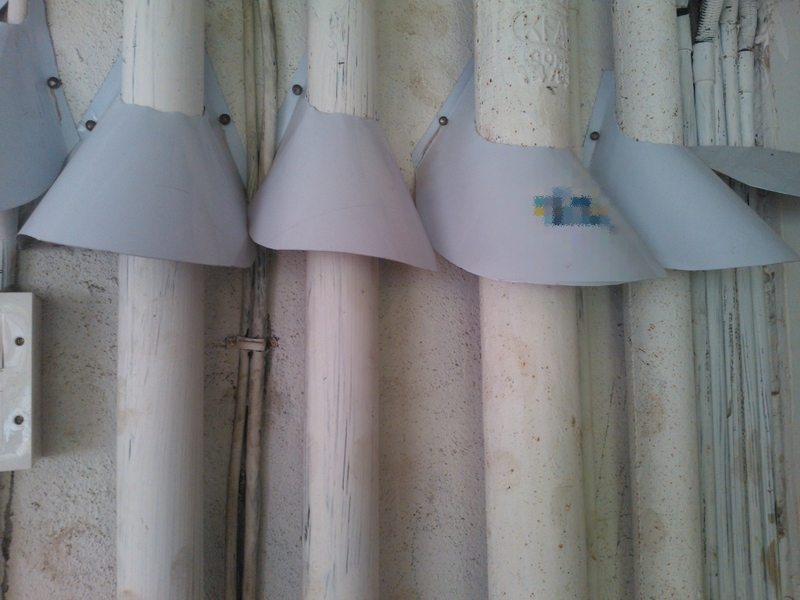 Premium quality powder coated and non corrosive metal sheet is used for rat guard. Without removing possible food sources and shelter resources, a trapping and bait program would be unsucessful. 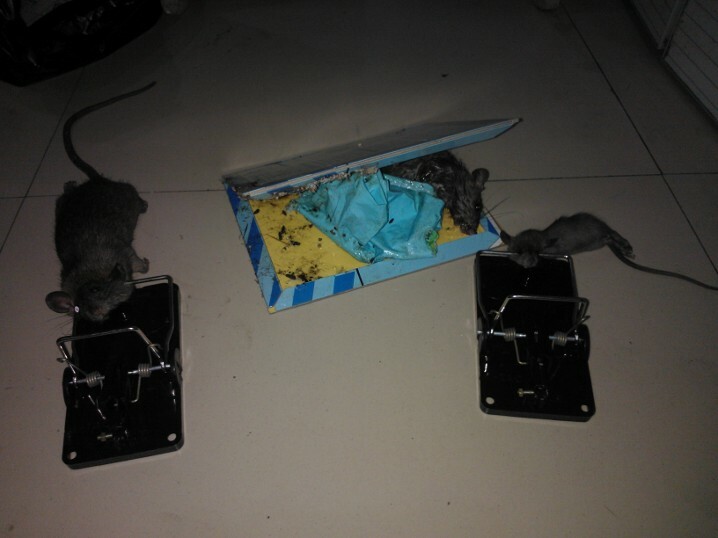 By using only rodent poison baits and traps on an intermittent basis to control rodents, without any attempt to control other factors these rodent populations would quickly and repeatedly rebound. Even the highest quality of rodent baits would not be able to compete well with the available foods the current rodent population is already and comfortably accustomed to feeding. The premises where baiting is not advisable, rat control glue boards and snap traps are used. The glue pads and snap traps are placed are strategic locations. Here the rats are trapped and can be disposed off suitably. Thus, foul smell from rats dying in inaccessible areas can be avoided. This treatment is specially for indoor use. They also infest offices, shops, godowns etc. Basically, they live indoors. Rats are very suspicious. That is why they cannot be easily controlled by just putting any poison available in the market. Even if some rats eat the poison and die, the remaining learn a lesson and stay away from the poison. This nature of rats is called 'Bait shyness'. To eliminate all the rats, we therefore use a different type of poison - an anti coagulant. It is mixed with a bait material which is very attractive to rats. It is more effective because rats do not die immediately. It creates a deficiency of Vitamin K1. They die only after about four days. They therefore do not become bait-shy and the entire population of rats start eating the bait. And after about 8 days, all the rats die. Vitamin K contributes to the formation of blood clotting factors and in doing so, is converted from an 'active' form to an inactive form. The inactive form is returned to the liver where it is regenerated by an enzyme to be re-used. Once this recycling enzyme is blocked by bromadiolone, the reserves of active vitamin K in the blood are gradually depleted. The rodent dies due to the failure of its blood clotting system. This is very safe to use as theLD50 value is very less. Why do Rodent pest control?